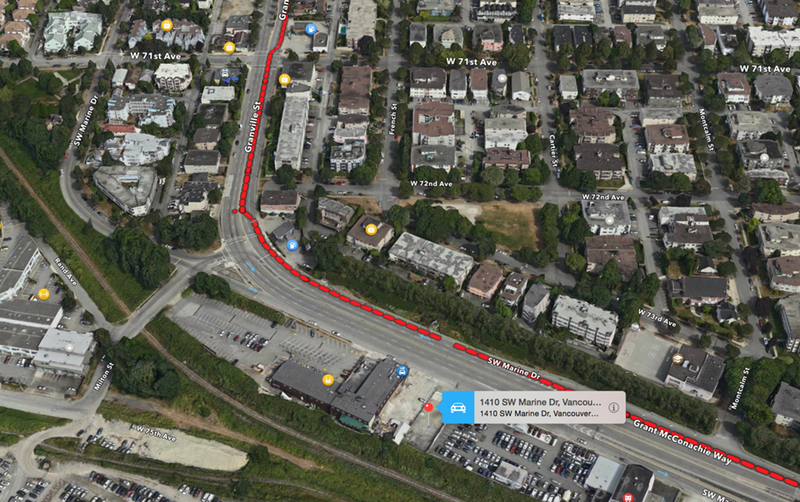 Central and high traffic location near Granville St in Marpole area with many upcoming developments occurring within Marpole Community Plan. Ease of access to airport & downtown. Rezone into C-2 for future mixed-used & multi-family development. Ideal holding property and huge developing potential. Call 604-671-0700 for more information.